Former Vice Provost and Dean of Student Affairs Peter Konwerski is one of four finalists for the top post at a community college in western North Carolina. Former Vice Provost and Dean of Student Affairs Peter Konwerski is in the running for the top post at a community college in western North Carolina, according to a release from the college Wednesday. 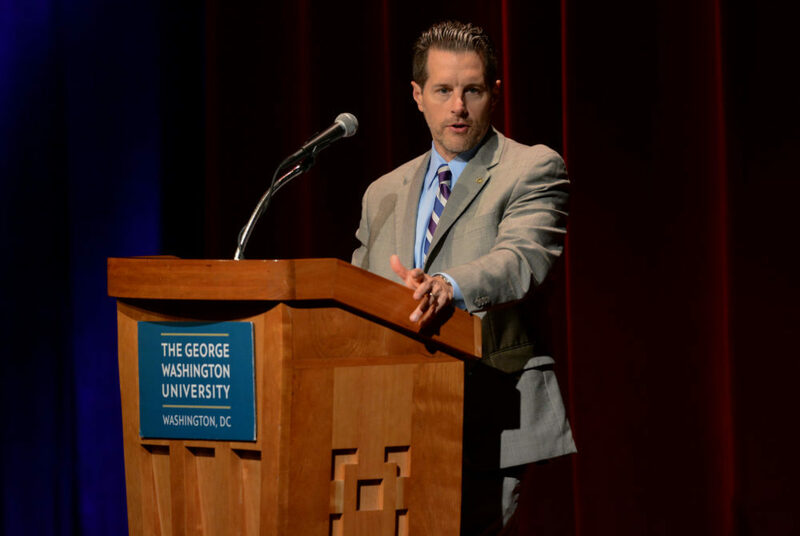 Konwerski, who announced in November that he would step down as GW’s top student affairs official after more than 25 years at the University, is one of four finalists in the search for Davidson County Community College’s next president, according to the release. The former student affairs head will visit the community college in late August and tour the surrounding Davidson and Davie counties. He will meet with trustees, faculty and staff during the visit and participate in a formal interview with the college’s search committee, the release states. Konwerski, who said in a December interview that he would pursue other higher education opportunities after departing from the University, did not immediately return a request for comment. The community college began searching for someone to step into the school’s top role in March after the current president, Mary Rittling, announced that she would retire at the end of the calendar year. Other finalists for the position include Darrin Hartness, Davie County’s superintendent of schools; Lisa Rhine, the provost of the Chesapeake Campus of Tidewater Community College in Virginia; and Janet Spriggs, the COO at Rowan-Cabarrus Community College in western North Carolina, according to the release. The search committee will recommend a candidate to the college’s Board of Trustees following the August visit. If the board approves the committee’s choice, the State Board of Community Colleges will affirm the decision, according to the release. A final decision is expected in October, the release states.